Meet Luigi Cabrini, chair of the Global Sustainable Tourism Council and advisor to the United Nations World Tourism Organization. Which is the most difficult part of working for a UN agency, such as UNWTO. Luigi, before you joined the United Nations in 1982, you worked as a freelance journalist in Rome, Italy – was there any specific moment or experience that triggered this change in career? At that time I was writing articles in support of the “No Nukes” (anti-nuclear) movement for the Italian edition of “Rolling Stones”. Joining the UN (thanks to an interview held with a UN recruitment delegation) gave me the possibility of actually doing things that could lead to positive changes, not only write about them. My first assignment was in Guatemala, where I was coordinating projects for the United Nations Development Program. These ranged from turtle nest protection to improvement of maize crops. Unfortunately, those were very sad years for the country, ravaged by a civil war and ruled by military dictators. When did you discover your passion for sustainability and tourism? I joined UNWTO after 20 years working in development and refugees protection with the United Nations High Commissioner for Refugees. It was quite a change! It was however becoming increasingly clear that tourism can also be a powerful tool for development and poverty alleviation. In many countries that I have visited, tourism provides a way forward. I see tourism as the sunny side of countries and peoples, willing to show their best and to welcome anybody interested in their nature, culture, music, gastronomy. It is the opposite of the dark side, which produces wars, conflicts and displacement. Which moments will you always remember from your time as head of UNWTO’s sustainable tourism program during 2007 – 2013? I had the chance of getting to know amazing people and unique places. I was surprised by the contrasts in Asia: very modern cities with the latest technological outfits, together with idyllic landscapes recalling life as it was centuries ago. Visiting remote villages in Nicaragua, reachable almost only by boat, where the Garifuna people were developing community-based tourism was an experience I will never forget. How has your view on sustainability and tourism changed during your time at UNWTO, and now as chairman of the GSTC? I have definitively learned a lot these last years. I have always been positive about tourism’s potential to improve people’s lives and to be a driver for enhancing the value of nature and culture, which implies of course their conservation, but also their sharing and interpretation. There is of course a lot of badly managed tourism as well, but the pressure to be sustainable is quite strong today. I have witnessed an evolution of sustainability from an “elitist” concept to a way of doing business, which is adopted by an increasing share of the industry. Why did you decide to chair the GSTC? I have been associated with the GSTC since its foundation. UNWTO has always been a strong supporter and as Head of Sustainability I was the person dealing with it. Being elected Chairman of the GSTC has given me the possibility to continue to be engaged with sustainable tourism and with an organization that is actively contributing to make it happen. GSTC is a “virtual” organization with staff, board directors and members scattered all over the word. I am based in Madrid, where UNWTO has made available an office and is supporting some of the activities. My institutional role is to represent publicly the GSTC and I participate in several events, making the case for our organization. However, I am also involved in a number of operational matters as a member of the Executive Committee. In your view, how will the sustainability agenda in travel and tourism evolve in the next years? Which trends do you observe? The number of tourism companies embracing sustainable tourism is continuously increasing, not least because natural and cultural resources are the capital of the tourism industry, so there is a strong interest in preserving them. I also see mounting pressure toward tourism operators to do things better, mostly from younger generations who are more sensitive to the vulnerability of our planet. Which achievements at UNWTO are you most proud of? The network of UNWTO Observatories for Sustainable Tourism has been a good initiative that motivated destinations to establish a permanent mechanism to monitor their vulnerabilities and to take corrective actions when required. I am also satisfied with the work done to include tourism as one of the sectors that can steer the change toward a Green Economy. Together with UNEP [United Nations Environment Programme], we produced good evidence of this potential. Which is the most difficult part of working for a UN agency, such as UNWTO? While UNWTO refrains from getting involved in political issues and instead encourages governments to build on their common interests, sometimes underlying conflicts surface and these need to be addressed with a combination of common sense and diplomatic skills. As sustainability adviser to the UNWTO Secretary-General, where do you see the main challenges for sustainability in travel and tourism? Almost all countries today include “sustainability” in their tourism strategies. Tools are available, such as the Global Sustainable Tourism Criteria, but we are still far from the mainstreaming of sustainability parameters in the industry as a whole. UNWTO has made it clear that with the predicted growth of tourism (1.8 billion international tourists in 2030), embracing sustainability is not an option, but a necessity. In your view, which is the best way to measure the success of sustainability initiatives in travel and tourism – such as at destination level? I believe that the GSTC has made an important contribution by offering a global system that is credible and recognized by more and more stakeholders, The Council’s Criteria provide an objective measure of whether a destination meets the standards to be considered sustainable. Your favorite tourism, travel or sustainability book right now? “Overbooked” by Elizabeth Becker – a well documented and well written book, to which I contributed my two cents. Connect with Luigi Cabrini on LinkedIn. 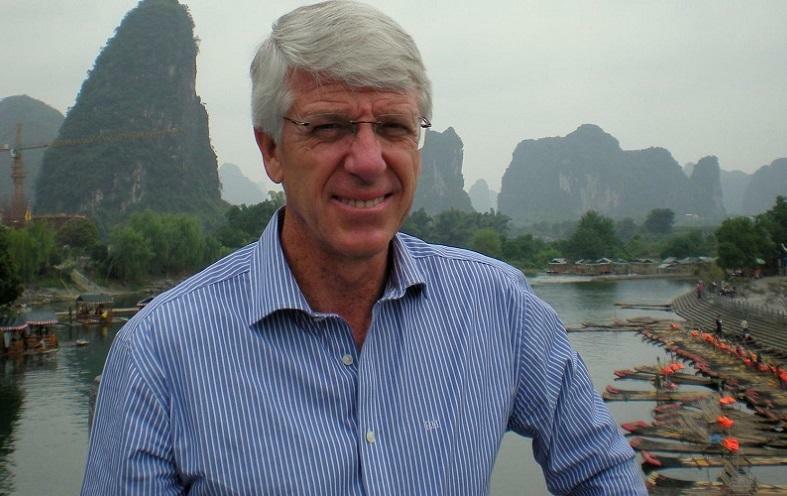 Enjoyed our interview with Luigi Cabrini, Global Sustainable Tourism Council chairman and UNWTO advisor? Spread the word!